(IU/MIS) (Stevens Point, WI) 1964 - 1989. Photos. Framable Color Prints and Posters. Digital Sharp Images. Aviation Gifts. Slide Shows. 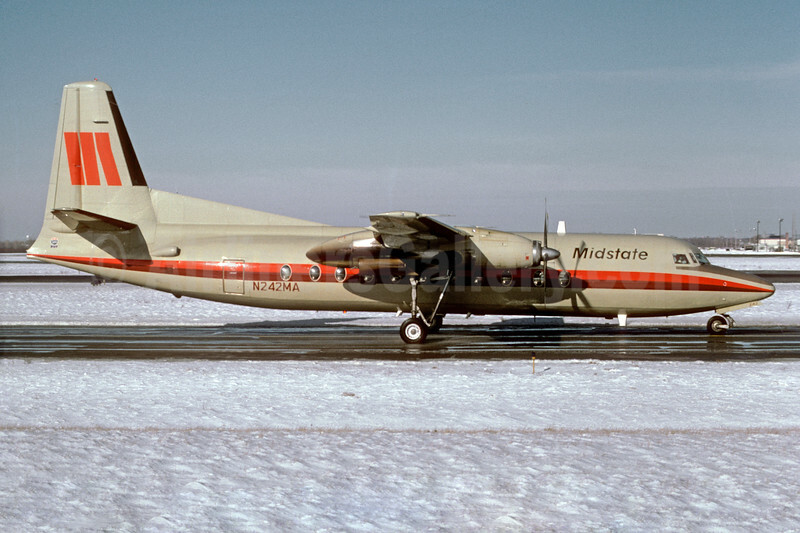 Midstate Airlines Fokker F.27 Mk. 500 N242MA (msn 10678) ORD (Dave Campbell). Image: 930193.